"Camp is the only that we can have so much fun...and it is the kind of fun that we can only have at camp!" 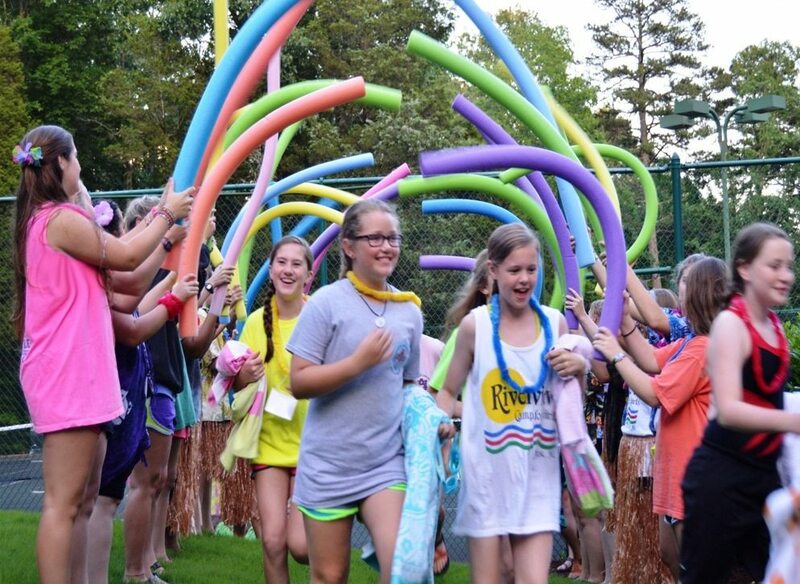 Evening programs and Special Events at Camp Riverview are also a part of the traditions that make returning to Camp Riverview so special each summer! Each session will include a special event and a variety of exciting evening programs that campers look forward to every summer! Beach Party Blowout, Mardi Gras, 4th of July, Olympics, Christmas, and Miss Riverview create magic moments through out the summer! Often, Riverview campers love to continue to return to the same session each summer, while others like to switch sessions just so they can experience all the summer camp Special Event variety that camp has to offer. 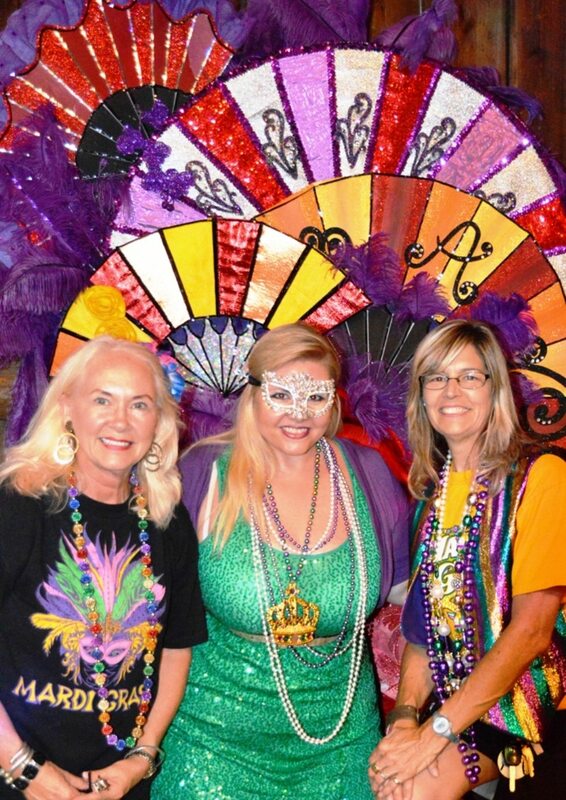 Amazing to see, “Mardi Gras at Camp” is a festive evening filled with our own spin on a Madi Gras parade complete with beads and masks…and a costume party, of course! Selecting an entire cabin to be the “queen” of Mardi Gras is exciting as cabins dress up to win this title! Bring costumes of green, purple and gold or just something fun & colorful to wear that evening. Any costume is fun! If you have Mardi Gras beads that you want to share, you are welcome to bring those too! 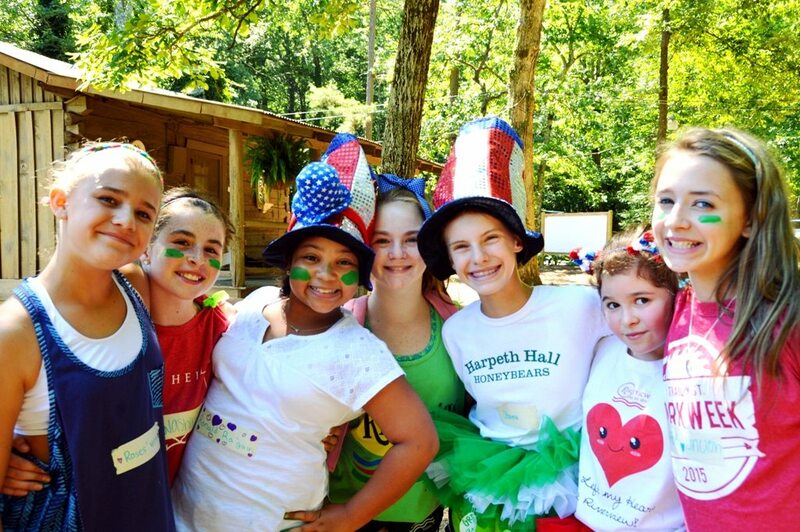 This is the session that we celebrate the 4th of July with a Patriotic Camp Parade followed by the Riverview Olympics with competition between the tribes and creates so much spirit in camp that the cheers are heard for miles around! We also have a fireworks display that is described as “amazing” “awesome” and “so much fun,” thanks to Mr. Larry (Hooks) and Gary Parker and their crew of seasoned fireworks specialists! Anything Red, White and Blue or any patriotic costume or clothing should be included as you pack for this session! An amazing “4th of July largest cake ever” is so yummy you will want the recipe! While each session is “different” there will also be lots of traditional events that occur each session. Having a sister at camp that we call a “nutty buddy” (because we originally served a “nutty buddy” ice cream at the end of the evening) is a favorite event for every age! Because we are a nut-free facility, we serve a “NUT FREE BUDDY” that is just as yummy as the original! While we do not ask campers to bring gifts for their nutty buddies, most do so… we think it is because we are all girls here and it is just fun to give something to our new “sister” at camp! 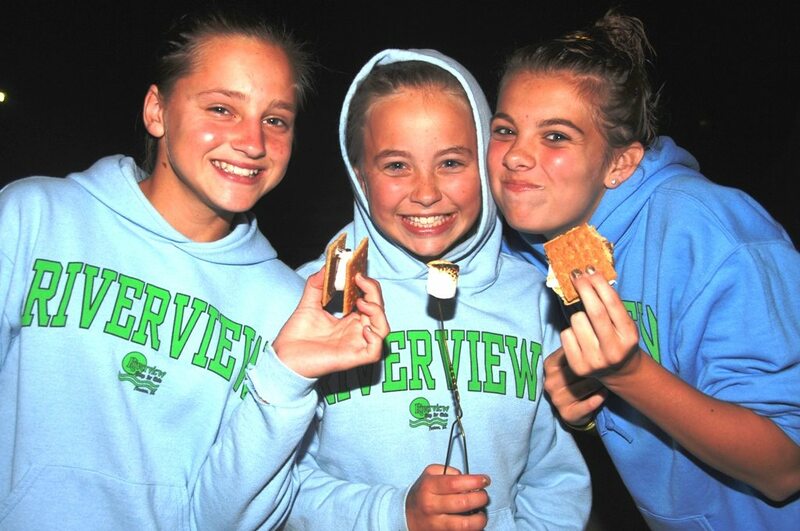 This is just one more way that Riverview intentionally plans for campers to get to meet other girls that are outside of their own cabin group…and nutty buddies remain friends for years! We really “re-create” the feeling of Christmas at camp this session only! You will have a “Secret Santa” that you will want to give tiny surprises to through out the few days before “Christmas Day” at camp. On “Christmas Morning” during this session you will reveal identity to your Secret Santa with a small inexpensive gift after we all gather in the Gym and guess who else will be there?! 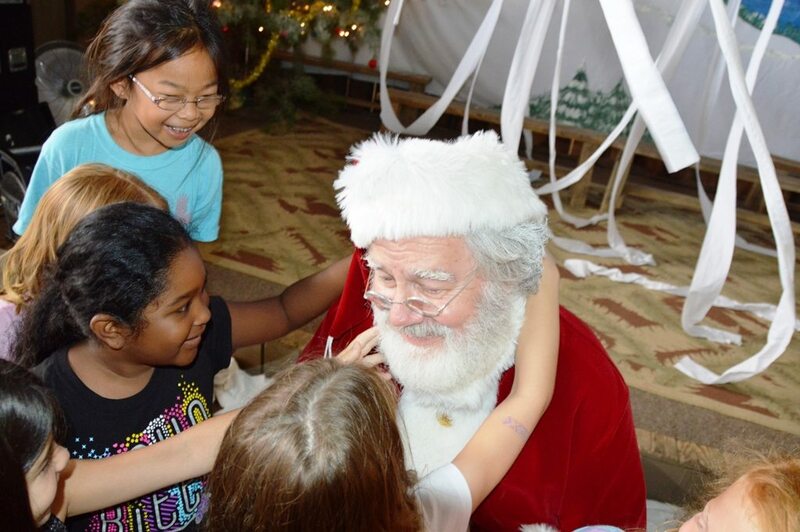 Yes indeed, Santa himself takes a trip to Riverview just to visit all of our campers which are always on his “good list” of course! We have a traditional Christmas lunch with all of the trimmings too! Christmas Skit night includes cabin skits…bring anything Red and Green or any Christmas costume…you will certainly find a use for it! 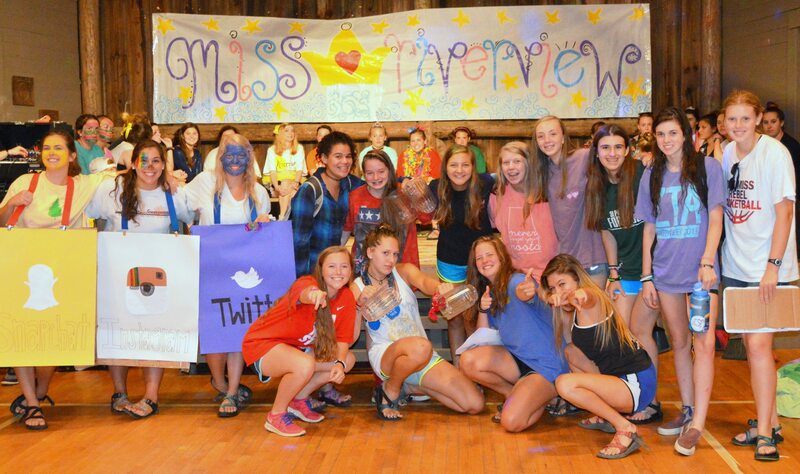 We think all of our campers and counselors are “Miss Riverview” and our view of a “pageant” is absolutely so much fun as the Riverview cabin counselors compete in this special event. This evening includes all of our campers …and is all about comedy with amazing, happy and funny skits. Costumes and crowns of any kind will be useful this session because you can always find a way to use them before or during this special event!